A funny thing about virality is it’s hard to anticipate. As journalists, we’re spot on if we can merely capture a trend and spread it further when it’s happening. As social media marketers, we’re even more powerful when we can recognize the potential for one and ignite it, or at least, in Amazon’s case, let it ride. 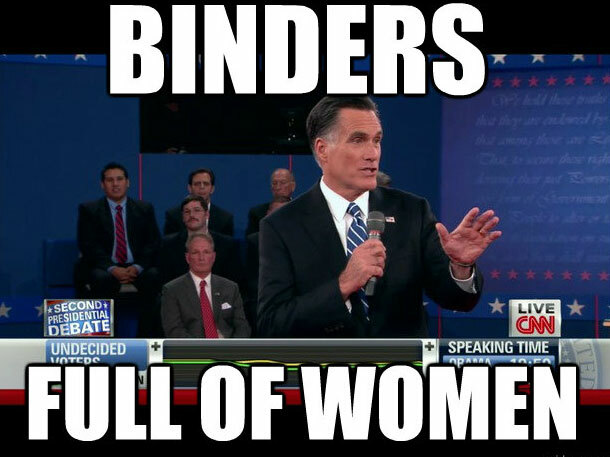 The word “binders” became somewhat viral this week from the televised presidential debates. A Huffington Post article declares, “The biggest winner during Tuesday night’s town hall presidential debate may have been Mit Romney’s “binders full of women” comment. The subject has generated several parody Twitter accounts, the largest at 33,000 followers at the publishing of this article. And as the Boston Globe reports, on Facebook, it has nearly 20 different Facebook pages, including one with nearly 136,000 likes. Regardless of your affiliation, the visual of paper-packed human resource binders with resumes (maybe even headshots) reminds most of us of 1980′s business best practices, or a government office somewhere. 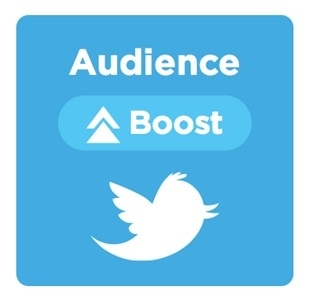 What’s more, there’s a very important social media marketing takaway to be derived from all this. One that, done correctly, more traffic, more views, and more product visibility for publisher and producer alike. Is this an oversight by Amazon? 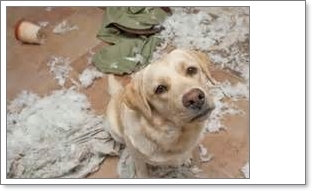 You bet it’s not–it’s good practice. Transparency breeds credibility which breeds trust. Leaving these comments in tact keeps Amazon completely out of any scrutiny about the integrity of their product reviews. In an online environment when that’s come into question for other sites, this is a huge win for Amazon. If you’re the Avery Dennison Corporation do you really want this kind of publicity? You bet you do. 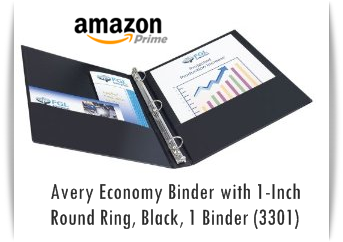 When’s the last time three-ring binders have been this exciting? Never. And a write-up on Social Media Today? That’s just golden. In fact, if it wasn’t the marketing department at Avery that contributed to this rise, the company should consider doing a little more social media hiring. Because it’s user-generated content not making a corporate political statement. And for the same reason, it’s all in jest, and making no real stab at the product. Getting Free Traffic That’s Not Hurting Your Brand? Keep it. I’ve spent three to five minutes reading this stuff, shared it on Facebook and tweeted about it. I’ve never tweeted about an Amazon product before. And while I don’t need binders, I do need some pen refills, so I’ve placed an order. That’s a good deal for Amazon. To selectively manage your social media, you need to be on top of it. That’s hard enough for an SMB, but for an enterprise organization, it can only be done with the right tools. Tools that scale. Check out industry leading social media management tools like Sprinklr and ExactTarget for best-in-class enterprise solutions. With that analysis complete, let’s have a little fun. These are my social media top binder reviews. What are your favorite binder reviews?